After Building Cleaning Residential & Commercial North West London NW | Quality Property Care Ltd.
You have just had your entire home repainted and everything looks amazing, but with the exception of all the paint specks and blots you keep finding just about everywhere? Don’t worry, Quality Property Care Ltd. can save you the trouble, time and effort and clean up everything completely with its special professional after builders cleaning service. The commercial and residential after builders cleaning services are offered to all residents and businesses in North West London NW and the area at the finest after builders cleaning price. The after builders cleaning company offers a expert one off builders cleaning, which can be combined with deep carpet cleaning and upholstery cleaning as well. Call the customer care service or send an online form to make an inquiry about the expert after builders cleaning service today. You will get a free offer in up to two hours. In many cases, same day booking is available, so if you are in a hurry - go ahead and call now. The company Quality Property Care Ltd. offers highly professional and very efficient mestic and commercial post-renovation cleaning services in North West London NW and the area. The cleaners are all very thoroughly assessed, vetted, trained and monitored. They use the latest cleaning technology and very efficient and yet safe (for you, your pets and the environment) cleaning solutions. The after builders cleaning service is very well structured and organised, which allows the team of fully insured cleaners to be as expedient as possible and to deep clean the premises and make them liveable as soon as possible after the builders have finished their work. 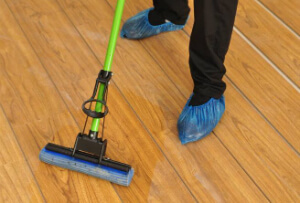 The other advantages of using the expert service for cleaning after builders, include the fact that you can immediately start working or living in the renovated home, office or premises, right after the refurbishment has finished, and the cleaning team has performed a deep clean. Plus, the contract construction clean-up service ensures that the air in your office or home is free of dirt and other harmful airborne particles which can cause breathing and eye irritations, allergies, asthma attacks and other problems. The professional cleaning company Quality Property Care Ltd. offers a complete top to bottom builders clean, which can be performed as soon as the builders are finished with the refurbishments. The after builders cleans can be done in the night, on the weekend, bank holidays, or when you are not home, for your convenience.